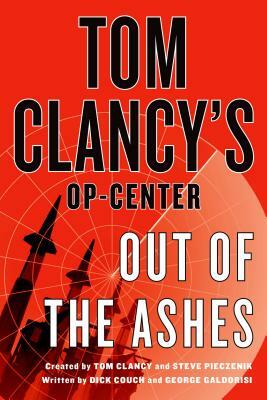 Tom Clancy's Op-Center is back with this new thriller written by the New York Times bestselling authors of Tom Clancy's ACT OF VALOR and featuring a chilling, ripped-from-the-headlines scenario. Before 9/11 America was protected by a covert force known as the National Crisis Management Center. Commonly known as Op-Center, this silent, secret mantel guarded the American people and protected the country from enemies. The charter was top secret and Director Paul Hood reported directly to the president. Op-Center used undercover operatives with SWAT capabilities to diffuse crises around the world, and they were tops in their field. But after the World Trade Center disaster, in the interest of streamlining, OP-Center was disbanded -- leaving the country in terrible danger. But when terrorists detonate bombs in sports stadiums around the country leaving men, women and children dead or mutilated, the President executes an emergency order to bring back Op-Center -- an Op-Center capable of dealing with the high tech crises of the 21st Century, and there is a lethal one brewing in the Middle East. A renegade Saudi Prince with ambitions of controlling the world's oil supply has an ingenious plot to manipulate America into attacking Syria and launching a war against Iran. Next, they would ignite a sleeper cell to attack the America homeland, resulting in a bloodbath unlike any other. Only the men and women of Op-Center, using sophisticated technology, realize what is about to be unleashed. Only they have the courage to issue a warning no one wants to hear. But will anyone believe them?